We’re coming up to the Easter holidays. My family had a lovely tradition when we were growing up: my mum would hide a book instead of a chocolate Easter egg for me…although I think there’d be a rebellion if I tried to do that in our house! I hope you enjoy some time to read over the holidays. Do let me know what you’re reading and what you think of these suggestions. Chocolate optional. 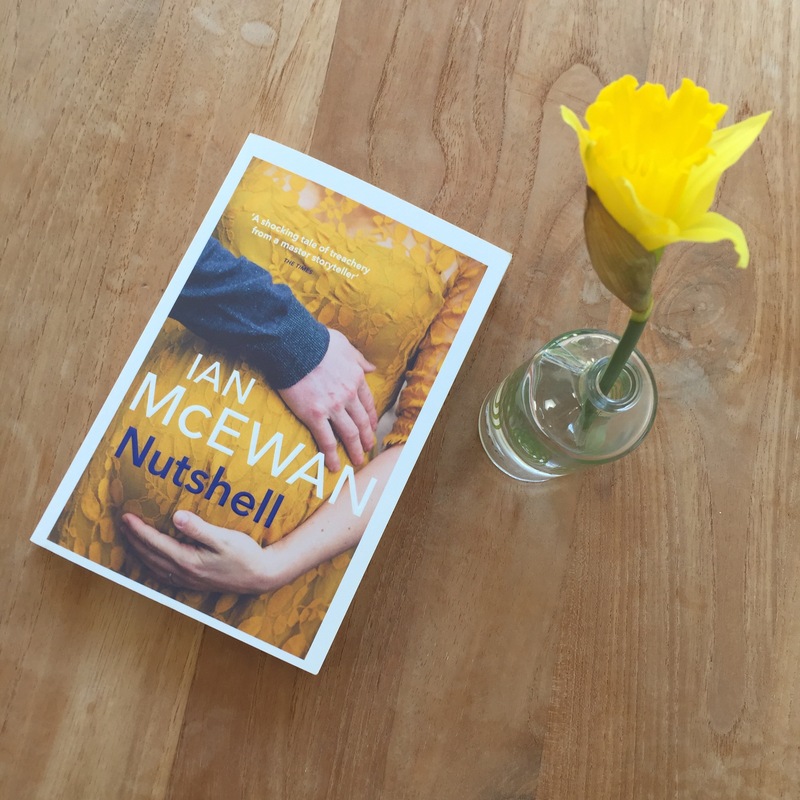 So begins Nutshell, narrated by a foetus who sounds like an erudite, arrogant, aristocrat. 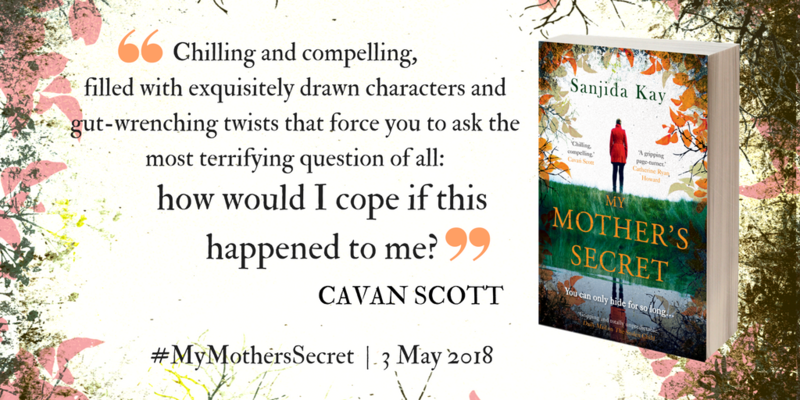 Nearly full term, and fuelled by podcasts and Sancerre, our exceptionally young man is concerned because his mother and her lover are about to do something terrible to his father. Now I’m certain…they’re planning a dreadful event. Should it go wrong, I’ve heard them say, their lives will be ruined. A combination of psychological thriller, treatise on modern malaise, ode to poetry and homage to Hamlet, this could be insufferable, but manages, instead to be wry, poignant, gripping as well as wonderfully written. A domestic noir inspired by Hitchcock’s Rear View Window: psychologist Anna Fox has suffered some kind of trauma, which has left her agoraphobic and confined to her house in New York. She and her husband are separated, and he currently has their daughter, Olivia, with him. Anna spends her days playing chess online, counselling fellow agoraphobics and spying on her neighbours. Some nights I haunt her room like a ghost. Some days I stand in the doorway, watch the slow traffic of dust motes in the sun. Some weeks I don’t visit the fourth floor at all, and it starts to melt into memory, like the feel of rain on my skin. New neighbours move in who seem to be a mirror of the family she’s lost: a husband, wife and their teenage son. Then one day, Anna sees something terrible happen in their house but thanks to Anna’s cornucopia of medication, and merlot as medicine, no one believes her. The ash tree cowers, the limestone glowers, dark and damp. I remember dropping a glass onto the patio once; it burst like a bubble, merlot flaring across the ground and flooding the veins of the stone work, dark and bloody, crawling towards my feet. It’s 1792 and Europe is rocked by political violence whilst in Bristol there is a property boom, that will, as we know now, collapse barely a year later when war breaks out between England and France. 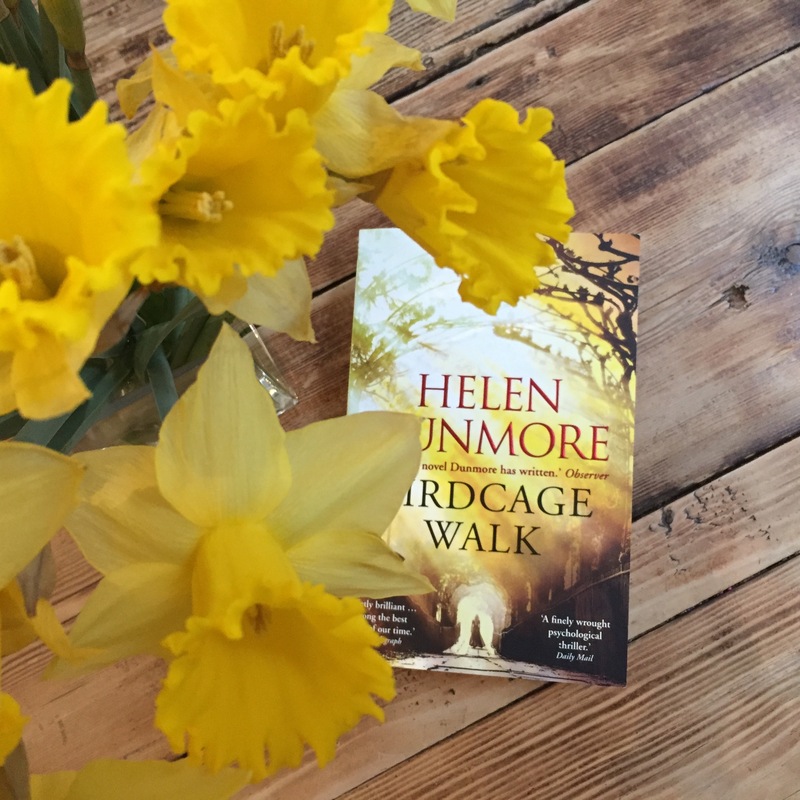 Birdcage Walk is a psychological and historical thriller about Lizzie Fawkes, daughter of radical feminist, Julia Fawkes, who marries property developer, John Diner Tredevant. I loved the historical details, particularly as the novel is set in Bristol, where I have spent most of my adult life. We gazed out at the plunge of the Gorge. From here we could not see the river crawling in its bed, but saw the dark curve of the trees on the other side. The forest was so thick that I never wanted to enter it. It seemed as if anything might live within it. Although the backdrop of the novel is political and social, the characters are incredibly realistic, at its heart, it’s about the love between mother and daughter, and how Diner is threatened, not only by their relationship, but by Lizzie’s independent and questioning nature. My irritation melted. No one, I thought suddenly, would ever look at me like that, except for Mammie, because to her every good thing, every moment of happiness that came to me meant more than if it came to herself. We learn early on what manner of man Diner is; his desire to control and suppress Lizzie is claustrophobic. This is a beautifully written novel, laced with dread, and shot through with emotional depth and compassion. Shetland based on Anne Cleeves’ Jimmy Perez detective novels: gripping, touching and emotionally raw; and thriller, McMafia, a taut, family-based drama, of one man’s road to ruin, inspired by Misha Glenny’s non-fiction account of international crime. Story Grid Podcast based on Shawn Coyne’s book on how to develop one’s craft as a writer; with aspiring novelist, Tim Grahl. 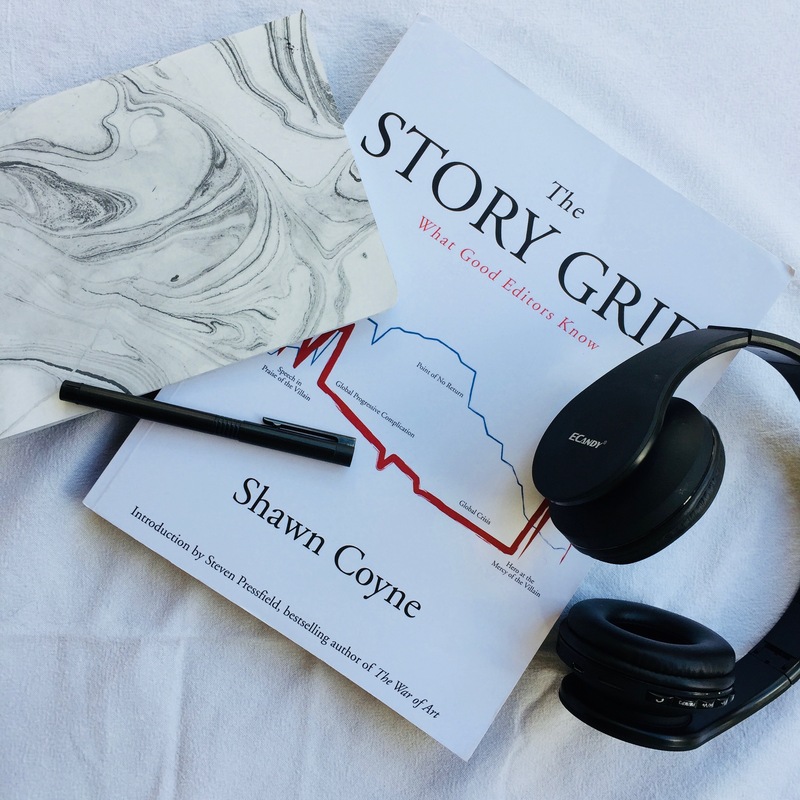 An absolute must-read/listen if you want to be a fantastic fiction writer! 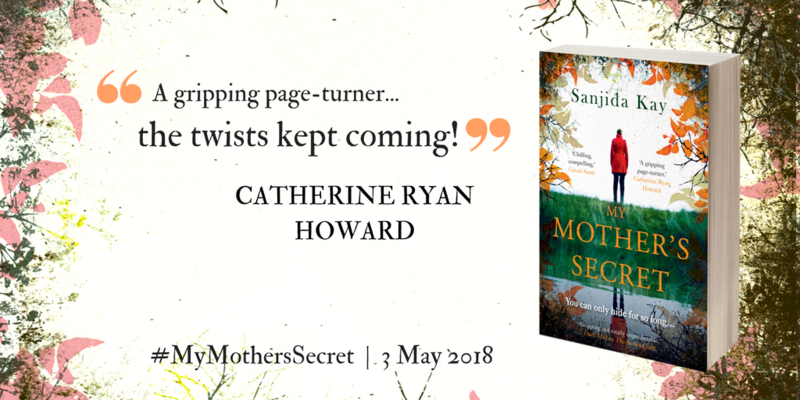 Six weeks to go until My Mother’s Secret comes out! For an author waiting to see how her book will be received, this is a tense phase to be in! For anyone interested in how the process works, once the book is finished, edited, copy edited, proof read and type-set with a draft cover design, an ‘uncorrected bound proof’ is created. It’s nearly the final version, but the cover might be tweaked slightly, and there could still be errors that we’ve all missed. The proofs are then sent out to magazine journalists and authors kind enough to say they’ll do their level best to read it before it goes off to the printers. So far, I’ve had some amazingly kind comments from my fellow writers. Thank you!! The next step is that early copies will be sent out to bloggers, who are really the most important people. They are readers who, in their own free time and without being paid, will read and post reviews of books on their websites. Waiting to hear back from them is even more nerve-wracking! 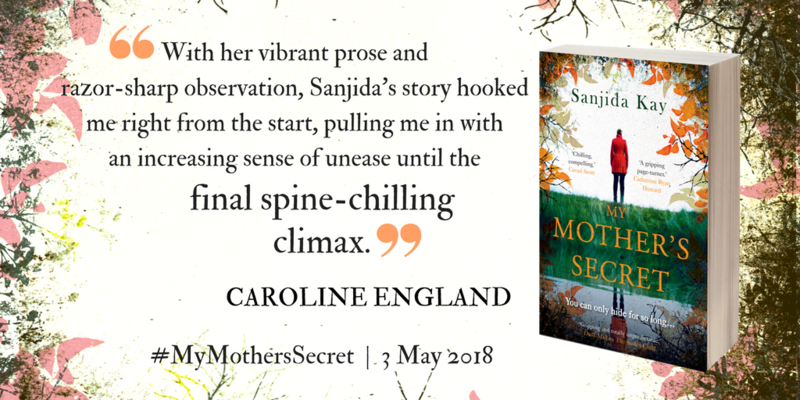 This gripping story about families and secrets takes the meaning of ‘deception’ to a new level. A well written story that is so compelling you have no choice but to race through it to uncover the secrets. 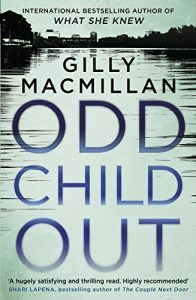 Twisty, tense and chilling until the very last page. Brilliant! I hope that’s whetted your appetite! If so, the kindest thing you can do for an author (apart from give them wine and chocolate), is to buy their book and post a short review on Amazon, Audible and Goodreads. It’ll keep them in coffee and Hobnobs. Thank you! 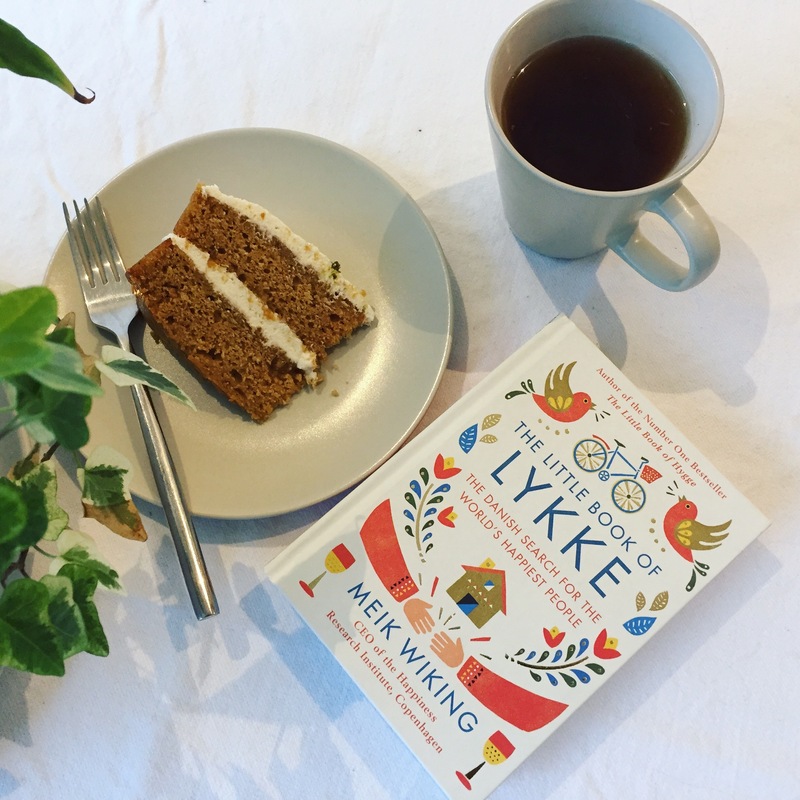 Struggling with winter blues and dry January? Me too. I’ve got some book recommendations: curl up on the sofa, wrap yourself in a cosy blanket and read one of these with a hot mug of chai. 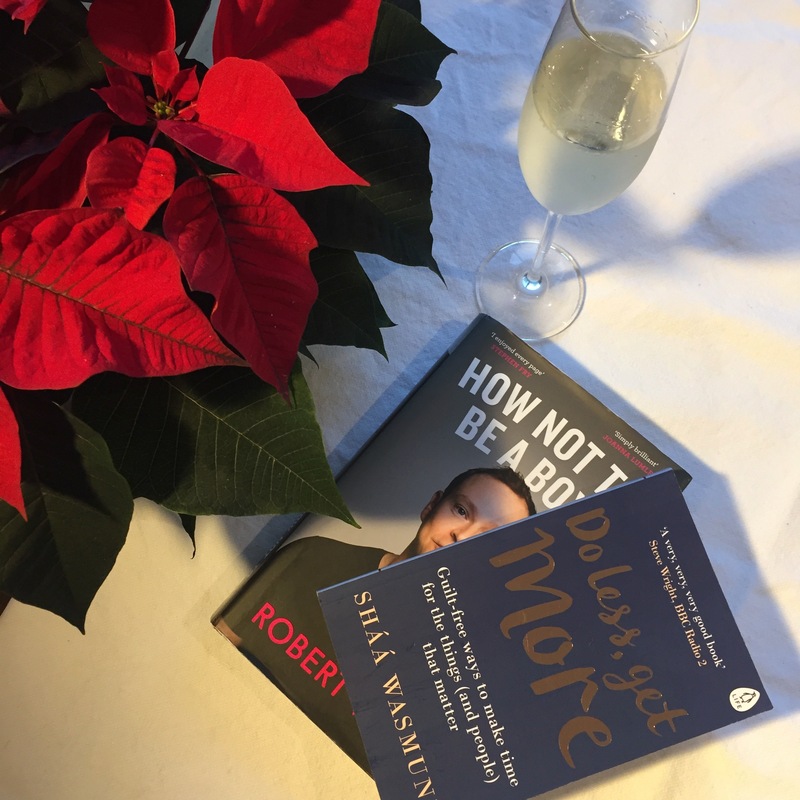 Happy 2018 and here’s to more reading! 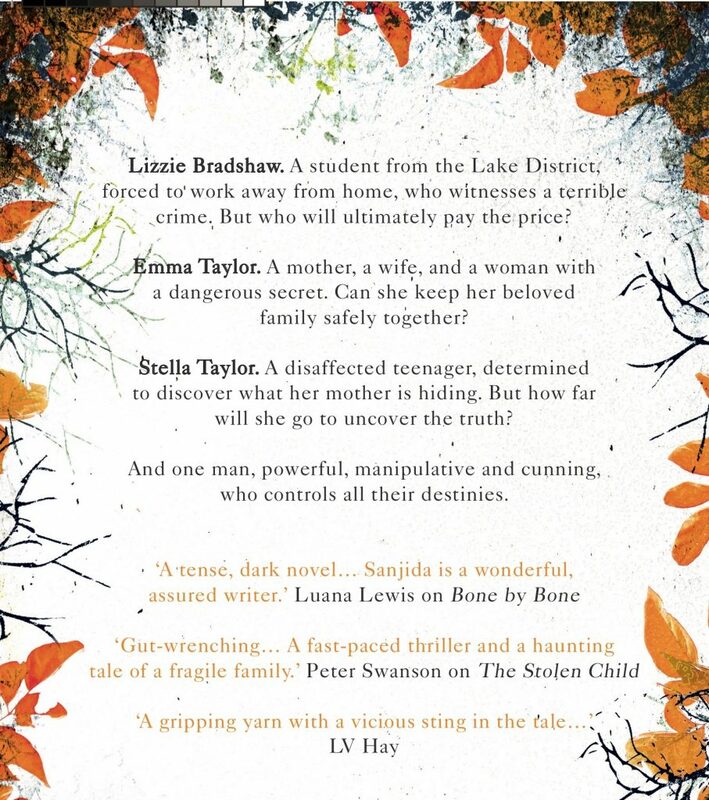 And if you like the sound of these, do sign up to my Book Club for more suggestions and advanced news about my forthcoming thriller. Flies swarmed as the blood pooled black over tiles and carpet. A child’s scooter lay abandoned on the stepping stone path. Just one human heart beat within a kilometre radius of the farm. Policeman Aaron Falk returns to his hometown of Kiewarra for the funeral of his best friend. Luke Hadler is thought to have committed suicide after murdering his wife and six-year-old son. Australia is in the grip of the worst drought for a century and the town is like a powder keg: it hasn’t rained for two years and tensions are running high. Aaron Falk is unwillingly drawn into the investigation, but Falk may not be as innocent as he looks, for he and Luke share a twenty-year old secret. You can feel the crackle of the heat from the pages in this blisteringly well-told tale. It’s 1969, California. Evie Boyd, the daughter of a wealthy woman going through a turgid divorce, is fourteen, sad, lonely and unloved. When Evie sees the girls in the park and, at their centre, Suzanne, black-haired and beautiful, she’s drawn to them, desperate for affection. She follows them back to the decaying ranch and their cult, led by the charismatic and amoral Russell. The consequences will be savage and haunt Evie for the rest of her life. The prose is achingly poetic; The Girls is based on the serial killer, Charles Manson; at its heart it’s about young women’s desire for love and acceptance and how the response can often be casual and cruel abuse from men. (Thanks to my sister, Sheila Fox, for recommending this one). Louise is a single mother and a secretary at an upmarket clinic for drug addicts. On a night out she meets and falls for David – who turns out to be her new boss. Life becomes even more complicated when she is befriended by his beautiful, but seemingly fragile wife, Adele. This is a story told by two potentially unreliable narrators, Adele and Louise, and at face value, is about the secrets husbands and wives keep from each other… Although it’s relatively slow-paced, I enjoyed the glimpse into a life far more opulent than my own, and one (with too much wine and too little sleep) closer to mine. There is a double plot turn at the end: one is reasonably easy to guess by the time you get there; the other is a humdinger, knock-your-socks-off twist. If you listen to it, as I did, it’s brilliantly narrated by Anna Bentinck, Josie Dunn, Bea Holland and Huw Parmenter. 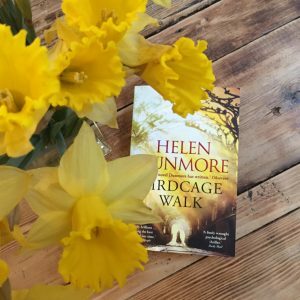 My ideal winter holiday involves long walks when the sky is a crisp blue, returning to a roaring fire, for a glass or two of prosecco and a good book. Here are my suggestions for what might make a good holiday read, and what I’m planning to read over Christmas. You can do anything…but you can’t do everything. At least, not at the same time. My sister, Sheila, put me onto this book. She runs a company with her husband, and looks after three girls, so she knows a thing or two about time management. 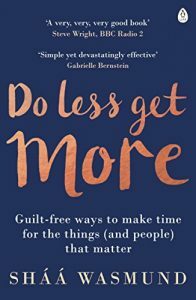 This is an excellent book, with down-to-earth tips that really work, helping you figure out how to prune, prioritise, focus, let go of perfection and do more of what you’re passionate about. 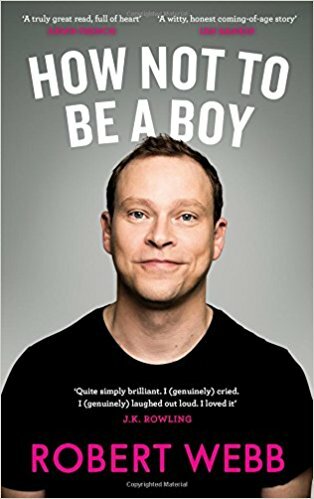 I’ve recommended this before, but it’s so good and would make a fantastic present for any men in your life. Both a memoir and an analysis of masculinity, the essential argument at its core is that boys are taught not to express emotions apart from socially-acceptable ones for men, such as anger. After years of learning to suppress emotions, many men are unable to detect or even label what emotion it is that they’re feeling. This book made me cry and laugh, sometimes at the same time. Sometimes it’s hard not to let other people’s misery seep into your own bones. Like me, Gilly lives in and loves Bristol, where we have set some of our novels. This is a welcome return for DI Jim Clemo and has a grittier, broader feel than her previous thrillers. The story hinges on a friendship between two boys: privileged but terminally-ill Noah Sadler, and Abdi Mahad, a second-generation Somali who has won a scholarship to one of Bristol’s prestigious private schools. After an incident in which one child fell into the canal behind Temple Meads station, one boy cannot speak and the other one won’t. Will DI Clemo find out what really happened that night, before the differences in the teenagers’ class and race threaten to upset the already fragile equilibrium in the city? For all the advances we’ve made in understanding the human brain, there’s still no scan for the human soul. 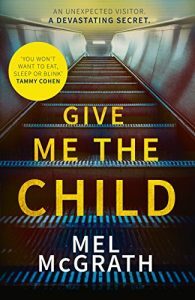 Dr Cat Lupo, child psychologist, is woken when police bring a girl to the house she shares with her daughter, Freya, and husband Tom. Ruby Winters, who is the same age as Freya, turns out to be Tom’s illegitimate daughter, and Ruby’s mother, Lily, has just died. Cat’s work with children showing psychopathic tendencies, and her own pre-pregnancy psychotic episode, make for uncomfortable connections to her new-found situation. 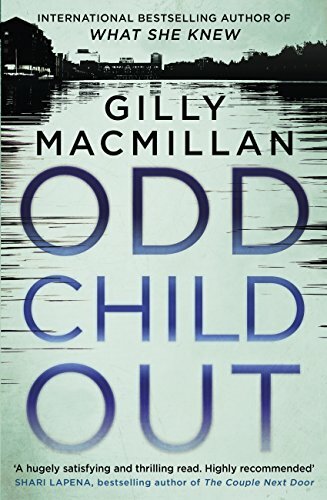 Set against the backdrop of a heatwave in London and race riots in Brixton, this is a tense, claustrophobic novel; for fans of Apple Tree Yard by Louise Doughty. 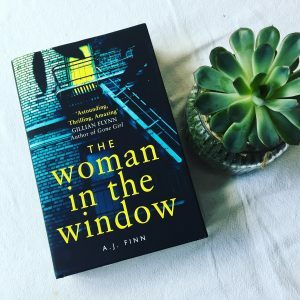 Silence by Colette McBeth and I’ve pre-ordered The Woman in the Window by AJ Finn. I’d like to re-read Rebecca by Daphne du Maurier and on my Christmas wish list is Ballerina Body by Misty Copeland (like I said, on my wish list!). 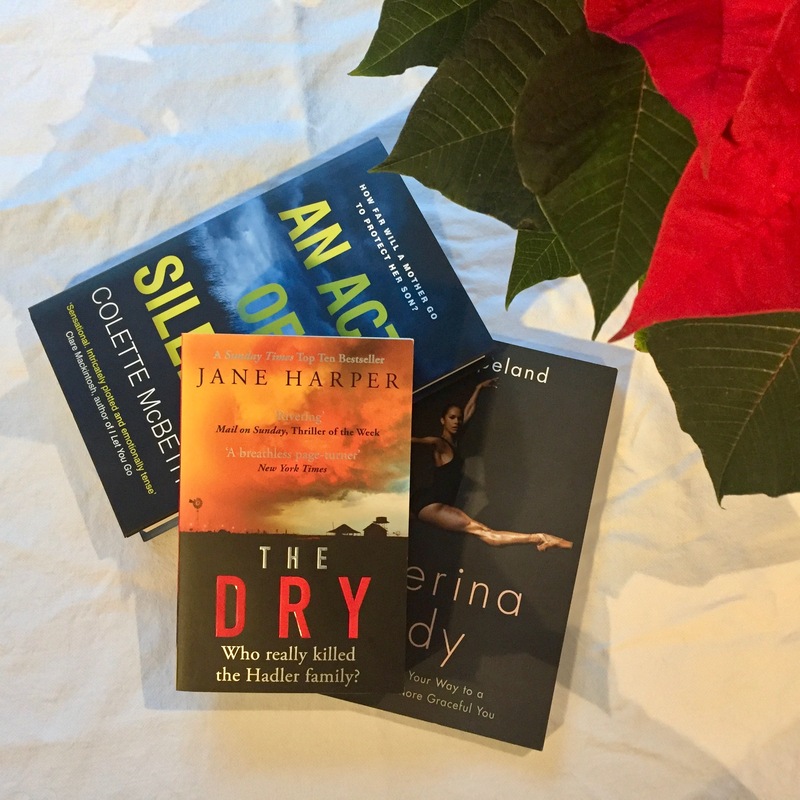 What are you hoping to read over the holidays? I can’t wait to pack my bikini and my books! We’re heading to Italy for an unadulterated beach holiday. 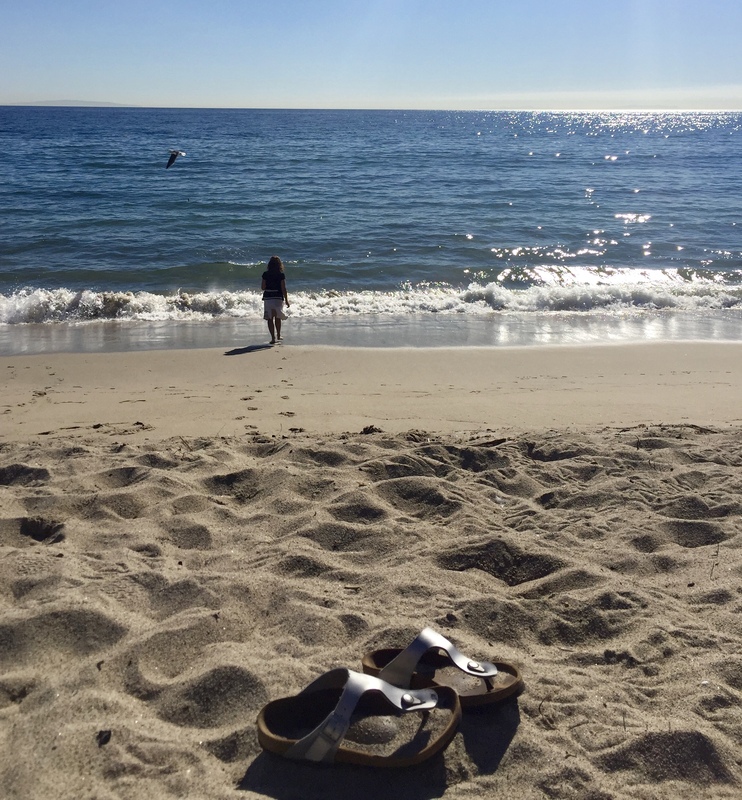 We’ve got one suitcase between three of us, so already I’m worrying which novels to take as I like to read real books in the sand! Lily feels unloved and unlovely. When she meets wealthy artist, Ed, she thinks it’s her one chance of marriage and she takes it, in spite of barely knowing her future husband. CHRISTMAS THRILLERS – If you’re looking for brilliant thrillers to thrill you over the Christmas holidays, here are my recommendations! ‘Hello there.’I looked at the pale, freckled hand on the back of the empty bar seat next to me in the business class lounge of Heathrow airport, then up into the stranger’s face.’Do I know you? Ted Severson is having a martini in Heathrow airport when he meets Lily Kintner. Over drinks and during the long flight back to the states, he tells Lily that his wife is cheating on him. He confesses that he’d like to kill her. It’s a casual, throw-away remark; the kind of thing an angry man might say after one too many gins. But Lily takes him seriously, and by the time the plane lands, the two of them have agreed to murder Ted’s beautiful, adulterous wife. MY YEAR OF THRILLERS – The expression on his face was more confusing to Tom than if he had focused a gun on him. The face was friendly, smiling and hopeful. 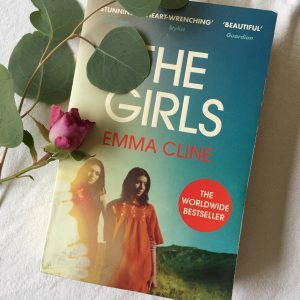 I’m writing a psychological thriller at the moment and, to get to grips with a genre quite different from my own (literary, historical), I’ve spent the last two years reading thrillers. I hated The Gathering. I could see why it sold a scant handful before it won the Orange Prize. But The Forgotten Waltz is something else: a wonderfully written, acerbically-witty, literary page-turner. It’s a tale of adultery set against the rise and smash of Ireland’s boom period. The premise is simple, but like a rough-cut gem, it is polished and polished until the conclusion shines, multi-faceted, so sharp you might bleed. 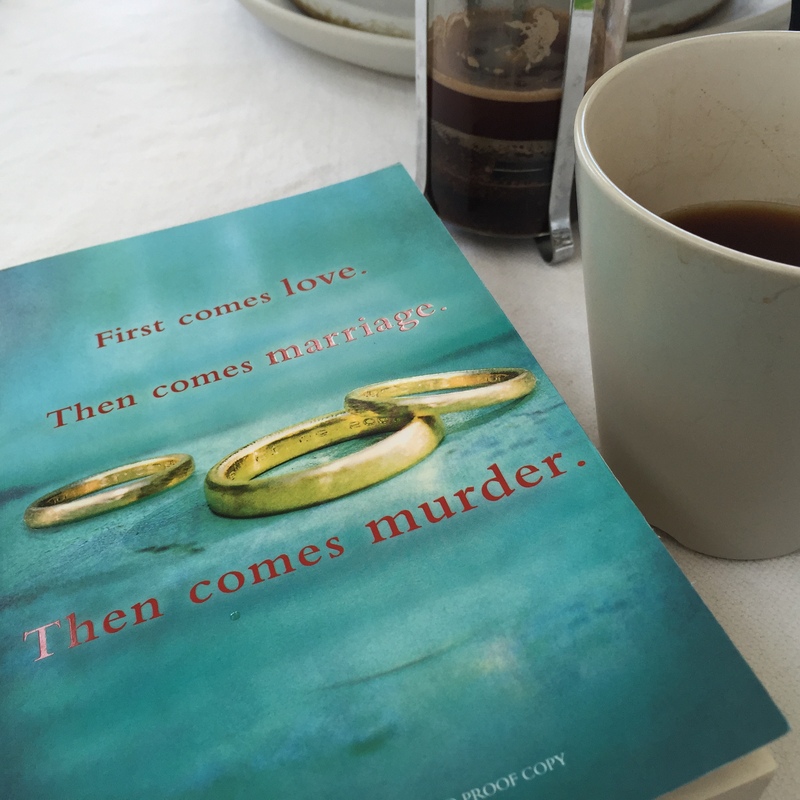 Gina Moynihan thinks she is happily married to Conor Shiels, until she meets Sean Vallely. The Snow Child is the strange and magical tale of a middle-aged couple who, in 1920, leave their gentrified lives for the wilds of Alaska. Jack and Mabel, grieving for the loss of their stillborn child and unable to bear the gossip about their childlessness, wish to begin anew – perhaps purge and punish themselves – when they settle along the shores of the Wolverine River. They are neither practical, nor young, nor strong and they struggle. In a rare moment of levity, Mabel and Jack build a snow child in their yard, adorned with a red hat and mittens. In the morning the hat and the mittens and, indeed, the snow child, have disappeared. Professor Andrew Martin, Cambridge mathematician, is dead. An alien, in his body, returns in his place. That would normally be enough to make me switch off, turn away, put the book down – but bear with me – The Humans is utterly brilliant. Everyone should have a copy. The alien-Andrew Martin lands, not in his office as anticipated, but on a motorway. Naked. Passersby hurl abuse and spit, leading to an unfortunate, albeit temporary idea, that this is the standard greeting on earth. A beautiful, white crane falls, keening, to earth, with an arrow piercing its wing. A man wrestles the arrow from the bird in the freezing cold and the crane flies free. It’s a powerful, dream-like moment, but it takes place in suburban London to a bloke called George Duncan whose ex-wife describes him as 65% man. The following day, George, who runs a print shop, meets an other-worldly woman called Kumiko, who brings in a stunning collage she’s made from feathers. George, who has been idly cutting a picture out of the pages of a second-hand book, discovers that his creation completes Kumiko’s. It is the start of a gentle relationship and a marriage of two art forms: feathers and words, which Kumiko turns into pictures that both become worth a small fortune in the art world, and which tell a story, perhaps her story. Serena Frome, a beautiful student of maths and an avid reader, has an affair with a college don at Cambridge University and finds herself being groomed for the intelligence services. It’s 1972. Britain is in crisis, facing a three day working week, energy supplies are low and the Cold War staggers on. Serena is given a role in Sweet Tooth, MI5’s cultural attack on communism. It sounds like a dream post: she has to pretend she works for a charitable organisation that wishes to promote young writers. Her charge is Tom Haley, a short story writer who teaches at Suffolk University. Serena promises Tom a life free of financial worries, in return for a novel, which MI5 hopes will be be Orwell-esque in its satirical attack on the Eastern Block. Stephen King said you should never be without a book. STEPHEN KING SAID YOU SHOULD NEVER BE WITHOUT A BOOK – I always used to carry a book with me – now I’ve started listening to audiobooks. I mainly listen when I exercise as it takes my mind off the pain and boredom! It feels like a different experience; someone else is doing some of the work for you and using their voice to create a character that may be different from the one you would have imagined. Plus they’re usually a whole lot better at accents than I am. I find you process the book more viscerally and your memory of it is linked to your activity at the time. Sometimes when I’m doing a particularly difficult leg lift I suddenly hear the Australian accent of Hannah Heath, the protagonist in Geraldine Brooks’ People of the Book. 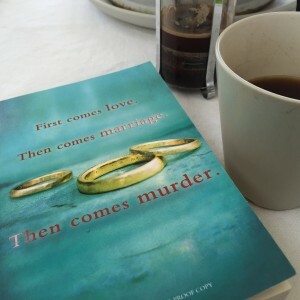 Recently, the dark winter mornings have been filled with brooding menace: rising at 6am before my daughter is up to work out and listen to Gone Girl by Gillian Flynn. I was so gripped by this auditory equivalent of a page-turner that I ended up doing a lot of lying around on the sofa just so I could keep listening. Or perhaps that’s merely what happens when you’re the mother of a toddler. The books I’ve found work best are those with a first person narrative – a distinct voice that echoes in your mind long after you’ve switched the book off. 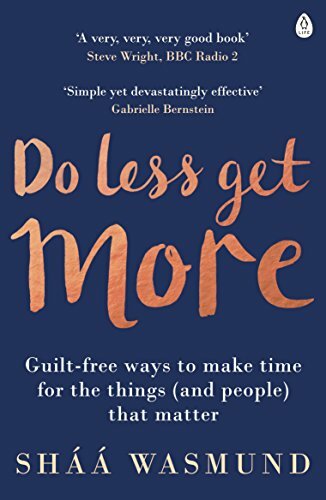 Interestingly, I’ll put up with a book I don’t like but think is ‘good’ for longer – probably because I’m multi-tasking. Do you get a chance to listen to books? What kind do you think work best?